I like to experiment quite a bit with colour, but I generally keep it to the eyes. I’ve never been one to experiment much with lip colour, but I recently gave Illamasqua ESP Lipstick* a go and I’m pleased to say, I actually quite like this purple lips thing! 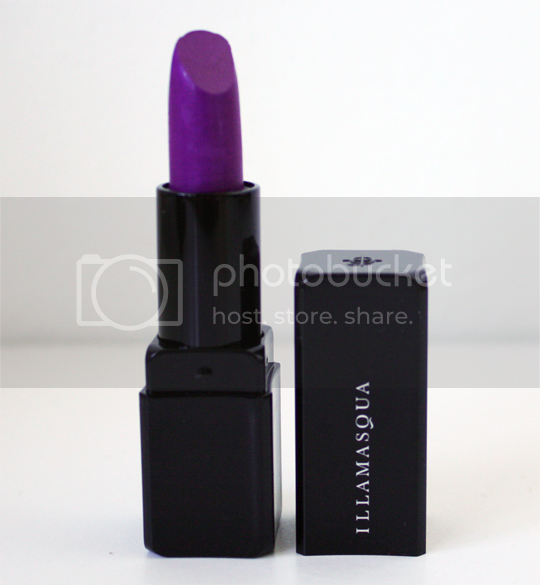 Whilst Illamasqua are almost undoubtedly the kings of unconventional lip colour (think teal blue Apocalips, blueberry Underworld, deep navy Disciple etc) this is their first true violet purple shade. As much as I wish I did, I don’t quite have the balls required to rock a teal or navy lip but I find Illamasqua ESP to be strangely wearable. What do you think? Illamasqua lipsticks tend to be quite drying due to their matte finish, and even though you can normally combat any drying effect by using a good lip balm underneath I wanted glossy finish rather than a matte one so I topped it with Illamasqua Boost Lipgloss* from last year’s Generation Q Collection. The violet-blue duochrome of the lipgloss is the perfect compliment to ESP! 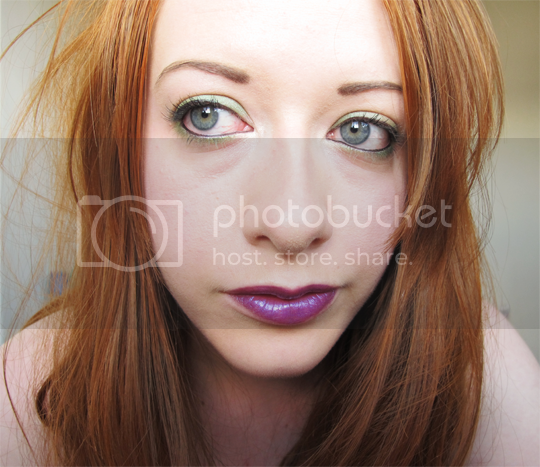 To complete my Paranormal look, I paired the purple statement lip with epically scruffy untouched bed hair and green shadow from the Illamasqua Paranormal Palette (which I’ll be posting about soon for sure!). I actually went out with this on and didn’t feel too concious of it. 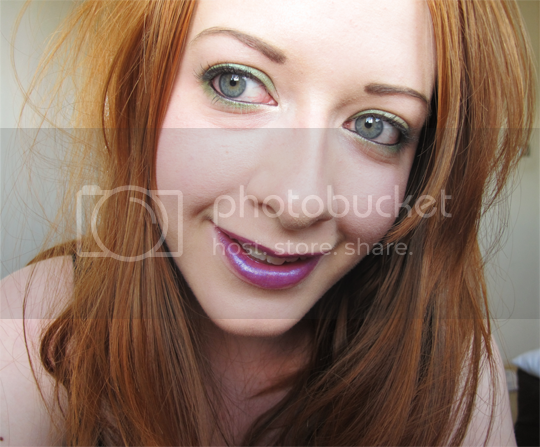 I’d do it again – weirdly enough I don’t feel comfortable in a red lip but I really like the purple! 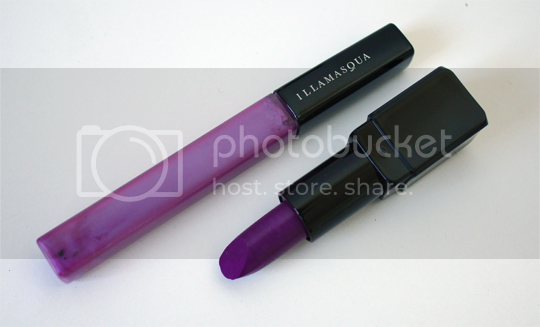 Illamasqua ESP Lipstick costs £16.50 and, along with the rest of the Paranormal collection, is out now on counters, in standalone stores and online. What do you think – would you rock a violet lip? That lippie and gloss are incredible on! Really suits you, especially with your hair colour! Looks lovely,but I have to ask. What did it do to your teeth? I found when I was younger and would wear these kind of colours they gave me the yellowest teeth that have ever dared to chew. Haven’t worn anything like it in years but would still be worried about the yellowing!! I have a couple of colours that are kind of like this already – Lush Passionate is a pink with a purple flash that reminds me of this, and I’ve got a discontinued RImmel one that’s really similar. It’s great to see how you wear this! Wow that is bright purple!